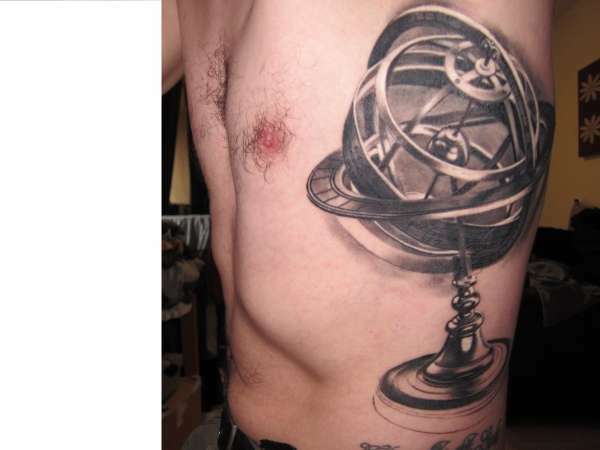 An armillary sphere which will be the centrepiece to a navigation and discovery themed ribcage piece. Still needs some shading and detail to the base done before other aspects can be added. Gorgeous piece already. Deserves a 10.